Ever since In:Quality introduced their ISDN alternative service ipDTL, life in the worlds of broadcasting and voiceover have gotten a little better. Whether connected, with ipDTL’s web based software, to another ipDTL connected studio or bridged to an ISDN studio, the recordings just work. As simple as that sounds, it hasn’t always been that efficient with ipDTL’s competitive predecessors. So it is with great excitement that we received word from In:Quality’s Kevin Leach that ipDTL has agreed to be the Presenting sponsor of FaffCon 9 in Charlotte, NC from September 22-24, 2017. FaffCon 9 is the second to last FaffCon, as it has been announced that FaffCon 10, to take place sometime in 2018, will be the final FaffCon ever. 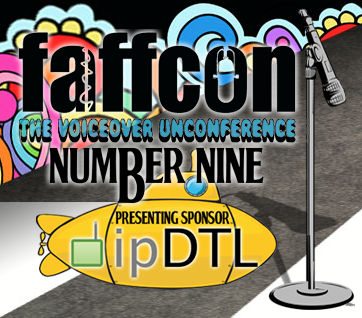 Already sold out, FaffCon 9 was the last chance for new, vetted and professional voice talents to attend a FaffCon. FaffCon 10’s attendees will consist solely of alumni from previous FaffCons as well as FaffCon 10 corporation sponsors. Welcome ipDTL to FaffCon 9! See you in Charlotte!